So if you’ve read Little Boo’s post from the other night about her upcoming birthday, you may have a few questions. Like: Wow, did she really write that? She is so advanced for an almost-two-year-old. She must have a super awesome and smart mom. Answer: Yes, of course. Yes to all of that. And: How is it possible that she still has Halloween candy left? I thought that all parents ate their kids’ Halloween candy. Answer: We only eat the chocolate. Or: Was she really serious about only wanting things that her sister has? Answer: 100% fact, truth and non-fiction. And here is a little story to prove it. This morning Little Boo and I were lying in bed waiting for her sister to wake up and watching Disney Junior. Out of nowhere, she pops her sippy cup (that sounds better, but she actually still drinks her milk out of a bottle. judge me not.) out of her mouth and looks at me with a huge smile. A little while later I told my husband to ask Little Boo what she wanted for her birthday. Mainly because she sounds so cute saying it. (Not as cute as it is when she says dinglehopper. We’re into The Little Mermaid lately.) I was also wondering if she would switch things up and ask for something else. So the moral of the story is this: Parenting is hard. Let’s all make it a little easier on ourselves. If you have two kids, don’t bother going out and buying them new things for holidays and birthdays. All they really want is to take away the toys that their siblings have and love. This. This is all she wants. Happy 2nd birthday. Little Boo! Mommy loves you!! And don’t worry, as soon as we put you to bed we hit up Amazon and picked out a bunny rabbit that would be delivered on time. Thank you Amazon Prime. Haha! So true. They love to steal their siblings toys. I’ve got two boys, and it’s the same story here day in and day out. Only Nolan (older kid) also wants what Archer (younger one) has. I think they do it to drive the mommies crazy! You always want what you’re not supposed to have! Aw! So the cutest. 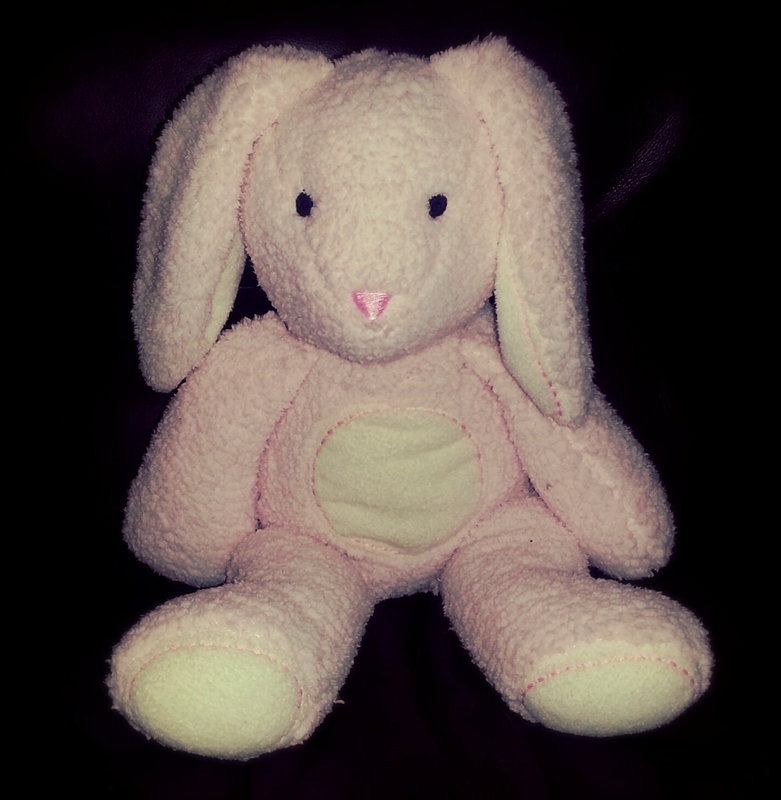 Given the chance I would probably try to steal that bunny wabbit from your daughter too… it looks so cuddly. Thank you! My husb premiumed me for Xmas!! Dropped the wordpress from my domain name as well. So professional and legit!! He also bought me 23ornot23.com and forwarded it to my domain so as not to get my twitter followers confused. I wouldn’t even have thought of that!! Seriously, neither would I! Smart husb too.